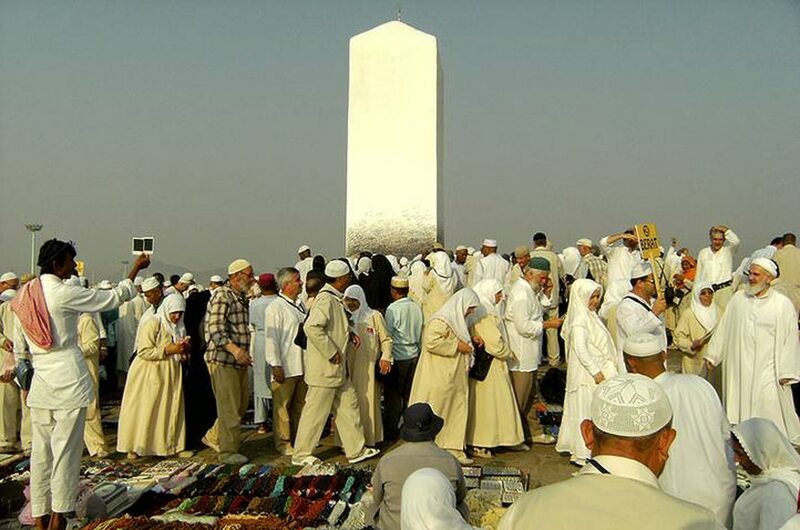 Mount Arafat, Mecca / Photo HHSociety in Saudi Arabia is generally traditional, collective, and conservative. Most Saudis (about 85-90 percent) are Sunni Muslims, and the rest are Shiite, residing mainly in the North-eastern Province. Saudi Arabia has enforced a strict religious interpretation of Islam and strict gender segregation in government and education. A strict dress code is enforced on women in public spaces. An official committee – known locally as The Haia, or Committee for Promotion of Virtue and Prevention of Vice – appointed by the government, monitors the observance of religious values by the public. The committee enforces the closure of all businesses during prayer times and the segregation of unrelated men and women in public. The committee is tasked with observing public moral conduct and with following up reports on the use of prohibited drugs or alcohol. Information and media publications must observe the country’s laws and regulations. The Ministry of Culture and Information appoints all newspaper editors-in-chief and can fire them if they do not conform to the rules and regulations. In addition, the Ministry controls radio and television. The government-owned Saudi Press Agency (SPA) reports official news and provides information. The official holidays in the country are the religious holidays Id al-Fitr (marking the end of Ramadan, the fasting month for Muslims) and Idal-Adha (Feast of Sacrifice, coinciding with the pilgrimage season). The official language is Arabic. English is used as a second language in schools, banks, health care, industry, and private sectors.